Our conference center and 6 story hotel are conveniently located just off the corner of 87th Street and I-435 in Lenexa, Kansas. With several nearby restaurants and within an easy drive of world class shopping and entertainment, your stay at the Hyatt Place Kansas City/Lenexa City Center is sure to be memorable! The hotel is 33 miles from the Kansas City International Airport and within 5 to 25 miles from Legends and Country Club Plaza shopping, Kansas City Zoo, Nelson-Atkins Museum of Art, several theme parks as well as some great walking/jogging paths and parks. You also cant forget about the Royals, Chiefs and Sporting Kansas City professional sports teams! World of Hyatt members can enjoy our complimentary breakfast when they book an eligible rate. Our breakfast includes premium ingredients, cage-free eggs, and regional chef-inspired dishes. Our conference center and 6 story hotel are conveniently located just off the corner of 87th Street and I-435 in Lenexa, Kansas. 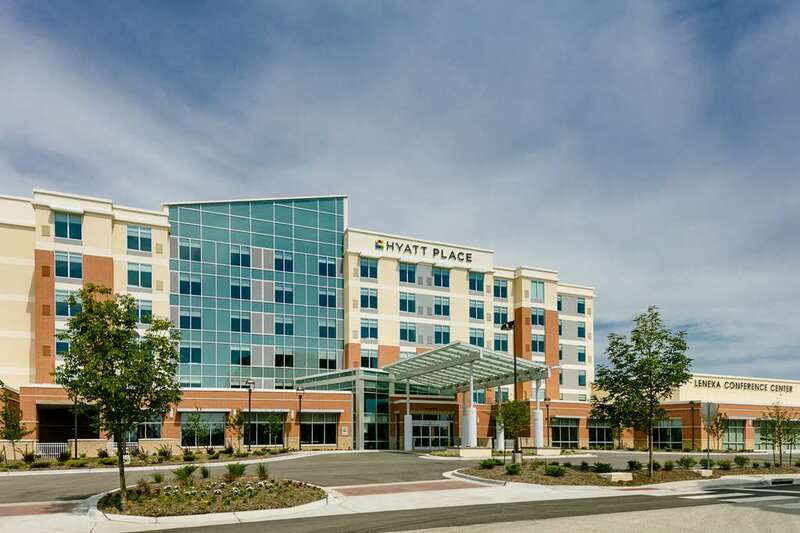 With several nearby restaurants and within an easy drive of world class shopping and entertainment, your stay at the Hyatt Place Kansas City/Lenexa City Center is sure to be memorable!